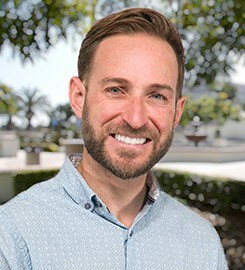 Ryan R. Abrecht, PhD, joined the department in fall 2015. A specialist in ancient Mediterranean history and culture, he teaches a range of undergraduate courses in ancient history, including The Ancient World, Greek Civilization, Roman Civilization, Late Antiquity, and Ancient History through Modern Fiction. His research focuses on social and religious history, immigration and urban life, and cross-cultural interactions in borderland regions. He is also broadly interested in premodern world history, in particular in the comparative study of ancient Roman and Chinese imperialism. Abrecht’s scholarly work focuses on the history of the Roman Empire, but also endeavors to put Roman history into dialogue with the histories of other regions and to consider the continuing influence of antiquity on modern attitudes and world events. He is interested in the ways that imperialism reshapes the identities of both conquerors and conquered people alike. As a result, his past research has focused on interactions between diverse groups in borderlands and frontier regions, such as the contacts that developed between Romans and Germanic peoples along the Rhine and Danube Rivers and among Greeks and Persians in western Anatolia. Abrecht’s dissertation, “My Neighbor the Barbarian: Immigrant Neighborhoods in Classical Athens, Imperial Rome, and Tang Chang’an,” analyzed three imperial capitals as urban borderlands where the negotiation of social and spatial boundaries played a key role in shaping both individual lives and communal identities. He is currently expanding this project into a book-length analysis of ancient immigration and neighborhood life. Abrecht teaches a wide range of undergraduate courses at USD, and is committed to interdisciplinary and collaborative projects that allow students to learn about history and its usefulness in non-traditional ways. He enjoys lively discussions in the classroom and getting to know his students on an individual basis. He has also traveled extensively abroad, and is excited about offering courses that will enable interested students study iconic and important historical sites in person. Submit changes to Ryan Abrecht's profile.